Click on the picture below to see the winners of this year’s photomicrography competition on the Nikon Small World website. This picture is by Michael Stringer, Westcliff-on-Sea, Essex, United Kingdom. This site is full of amazing and inspiring images for artists. Thanks for the tip, Dina! I have ordered clear bags for my works on paper from ClearBags.com in the past and have been happy with the products. Now they are offering a new, biodegradable clear bag. Now that’s a great idea. They’re also a one-stop shop for not only bags, but mats and backing boards. You might also like to check out some of their other products of interest to artists, such as printing papers, creative packaging, greeting card blanks and envelopes, and even the clear plastic boxes to display them. Click anywhere on the pictures below and you will be taken to a wonderful fantasy world, The Origami Resource Center, where instructions for everything from origami boxes to dollar bill origami to tea bag folding should tempt you to try your hand at one of these designs. The only origami I’ve ever done has been a fancy napkin fold. But I’d like to try some of these boxes. With a holiday season coming up in which we are all probably going to be looking for something small but meaningful, what a beautiful way to present a gift. Lucha Workshop is run by two artists (Christina and Ronnie) in Miami. They design, screenprint and make all their items, each of which is made to order. 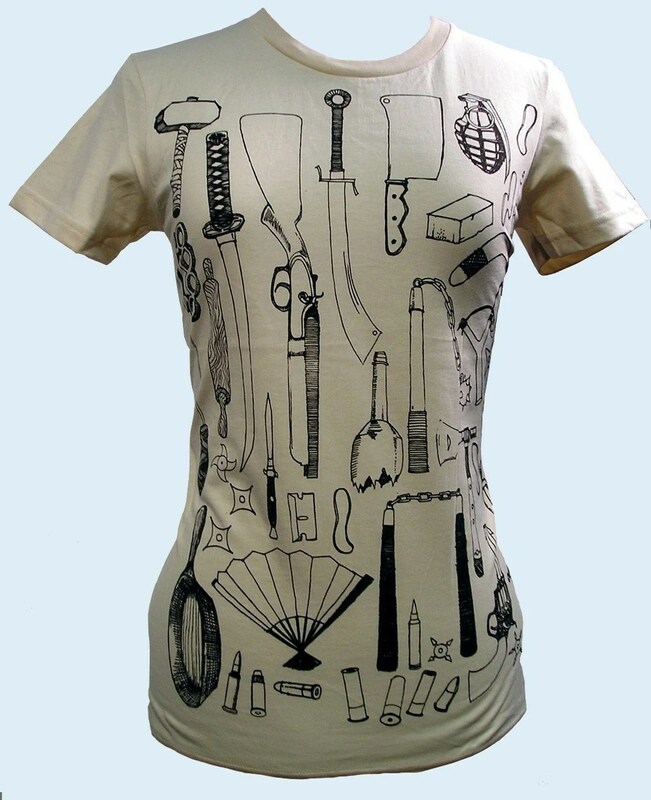 Click on the image above for more details about this T-Shirt and to see the rest of their incredibly hip and cool stuff. Cath, in a word . . . Yes!! All the time. Isn’t it a wonderful thing? These are very cool and fun finds. I have one that I created via my own frustrations of ‘what to do’- want something cool to put it in. Dina was my stimulus. Thanks for the link to the eco bags on clearbags. I need to put in a new order and I will certainly be switching to those!